The past decade has seen the remarkable evolution of the Airport Industry, where the thrust to transport as many passengers as possible was geared towards maintaining profitability. But as in any other industry, the struggles during the early years of economic recession resulted in people looking for alternative ways to travel. It was only in the past two to three years that the airline industry has gained back its old glory, when people are seeing the largest airport in the US. 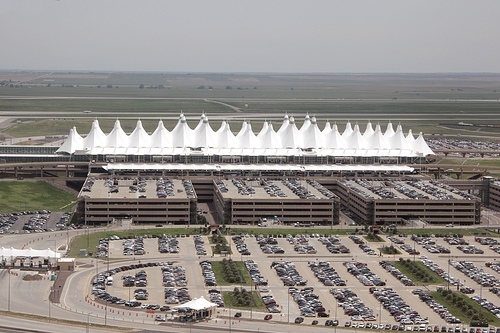 By land area, Denver International Airport is reputed to be the largest airport in the US and the third largest in the world. Being twice the size of Manhattan, about 110 million cubic yards of earth were moved during its construction. This is equivalent to about a third of the amount used in constructing the Panama Canal. Aside from its size, it also has the largest fuel distribution network in the world. The airport boasts of its 17 mechanical rooms, enormous duct and pipeline sizes, and an impressive runway system, where each runway is spaced at 4,200 feet from each other. Its electric powered subway lines can move 6,000 people an hour or about 75 million passengers a year. A record of passenger traffic of more than 55 million for the first 7 months of 2013 or a monthly passenger flow of almost 8 million passengers gave the Hartsfield-Jackson Atlanta International Airport the reputation of being the busiest airport in the world, also the largest airport in the US by passenger volumes. This was, however, a marginal drop of about 1% compared to the same period in 2012. Cargo traffic, on the other hand, dropped about 6% compared to the same period in 2012. In order to enhance passenger service and reduce flight delays, a $6B capital improvement program was initiated and is underway, as a step to further upgrade central passenger terminal systems and facilities. 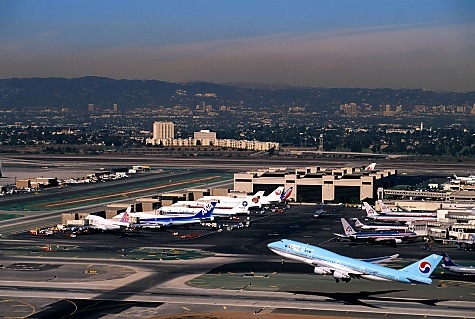 In July 2013, Los Angeles International Airport (LAX) located in California, US was ranked the 2nd busiest airport in the US and 4th busiest in the world. With more than 38 million passengers for the first 7 months of 2013, passenger traffic recorded an increase of about 4% compared to the same period of 2012. Despite these impressive figures, the Los Angeles World Airports (LAWA), which owns and operates Tom Bradley International Terminal at LAX airport, is investing $1.9B for a project to overhaul its terminal facilities. Aside from the increase in physical space to about 1.2 M sq. ft., it is projected that passenger handling rate will increase to 4,500 per hour. Considered as one of the best airports in the USA, the O'Hare International Airport of Chicago has been a strategic partner for several of the US biggest airlines - like being home to the second to the largest United Airlines hub. It also plays a major role to American Airlines Midwest businesses. In 2013, it was acclaimed as the 5th busiest airport, having witnessed almost 67M passengers pass through O'Hare International. It prides itself with numerous awards of excellence as a result of its consistent implacable service. US travellers continue to recognize its great image in the world of travel. With a land area of more than 17 acres (7 ha), Dallas Fort Worth (DFW) is one of the largest airports in the world. It is also the 4th busiest airport in the US with passenger traffic of 35 million and 371,049t of cargo during the first seven months of 2013. Aircraft movements during this period reached 397,627, making DFW the 9th busiest airport in the world. To improve passenger services and experience, about $2B is being tapped for the Terminal Renewal and Improvement Project, which is currently underway. Servicing 191 destinations worldwide, passenger terminals include four domestic and one international/domestic, has 7 runways and 155 aircraft gates. John. 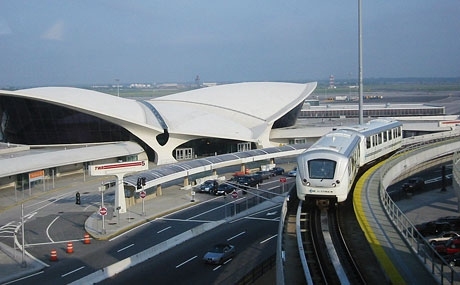 F. Kennedy (JFK) International Airport, the 6th busiest airport in the United States, is operated by Port Authority of New York and New Jersey. JFK airport witnessed almost 30 million passengers during the first seven months of 2013. In terms of area, the airport covers 4,930 acres of land in Queens County, New York. Having six terminals and with more than 125 aircraft gates, parking is also offered to more than 15,000 vehicles spread across the airport. Expansion of Terminal 4 at JFK international airport, currently in its second phase, is being undertaken to improve passenger facilities further. Expected completion is in 2015. Server responsed at: 04/18/2019 8:18 p.m.